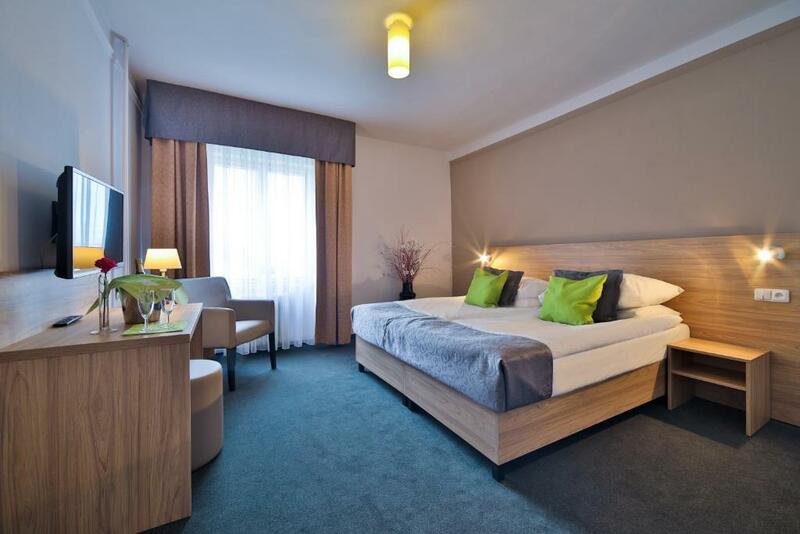 Lock in a great price for Atlantic Hotel – rated 8.3 by recent guests! 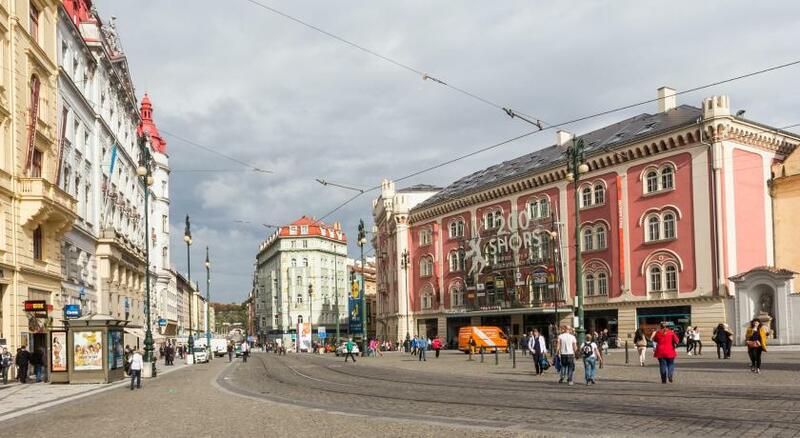 The location was convenient to get to the major attractions like Old Town and the Charles Bridge, all within walking distance. 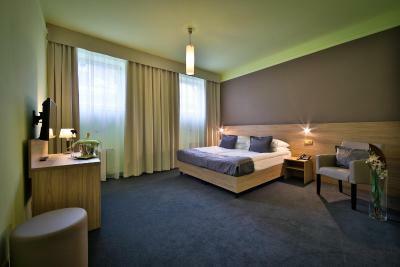 The room itself was clean and had a lot of space with high ceilings which was nice. The location was exactly what I wanted for our time in Prague. 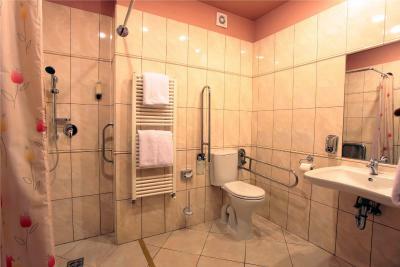 The room was good with adequate wheelchair accessibility-not totally accessible but quite good for Europe. Clean. Breakfast was great. 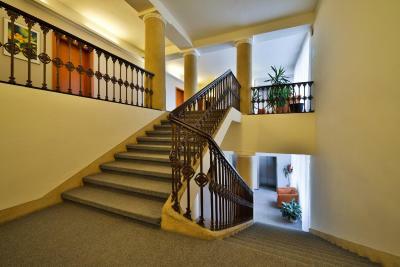 Location is okay & very accessible to bus or tram station. Closed to shopping & city centre area. 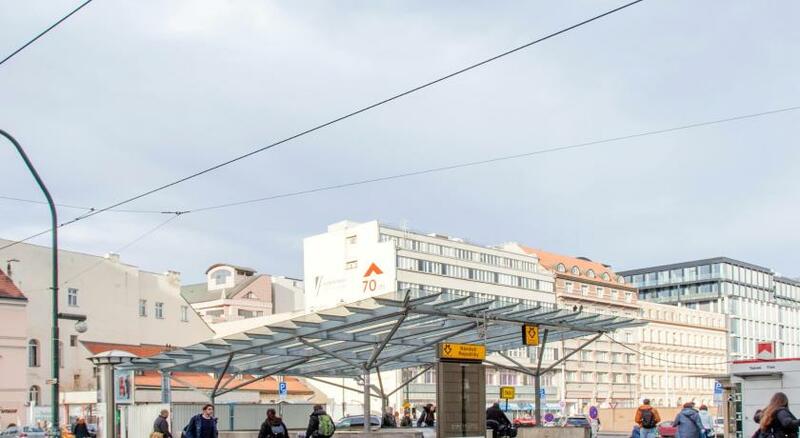 The hotel is n the center of Prague close to Metro station Nemesty Republic. Loved the heat in the room when so cold outside. Beds comfy. Breakfast very good and lots of choice. Location excellent. Atlantic Hotel This rating is a reflection of how the property compares to the industry standard when it comes to price, facilities and services available. It's based on a self-evaluation by the property. Use this rating to help choose your stay! 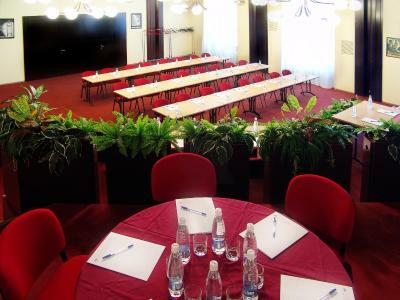 One of our top picks in Prague.Atlantic Hotel is located in Prague's historical center, a 10-minute walk from Old Town Square and 350 feet from Namesti Republiky Square as well as the metro station. 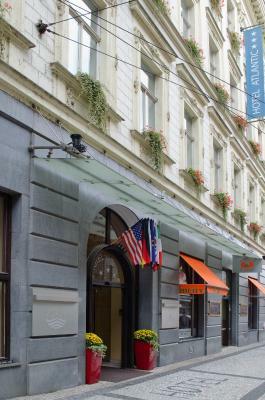 The hotel provides a restaurant and a bar. The reception is open for 24 hours. 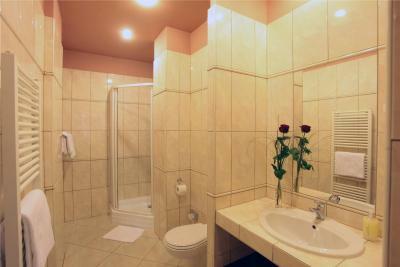 All spacious and elegantly furnished rooms feature satellite TV, a safety deposit box and free WiFi. 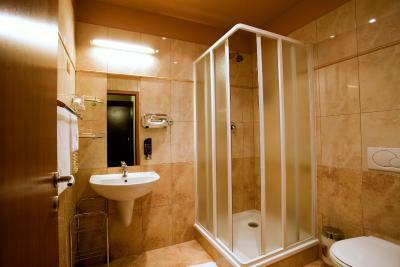 The bathroom is fitted with a shower and a hairdryer. 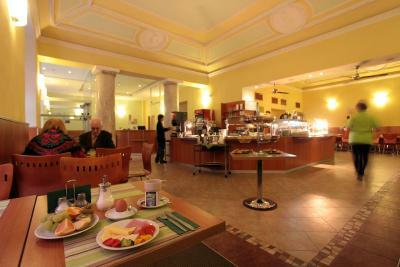 Guests can start their day with a rich hot and cold buffet breakfast. The Fiesta restaurant offers a variety of fresh vegetables, salads and dressings, all presented on a self-service board. 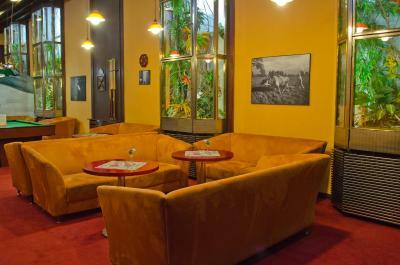 The ground floor of the Atlantic has a cozy Havana lobby bar with billiards and a winter garden. 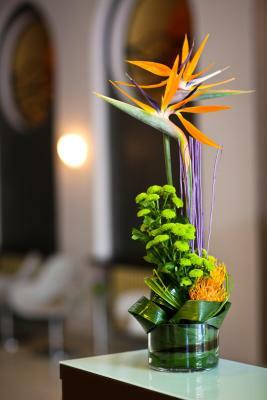 You will find a large selection of alcoholic and nonalcoholic drinks and cocktails. 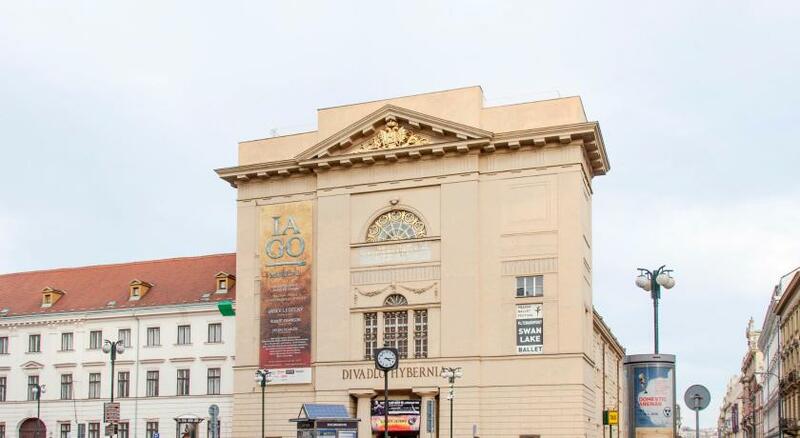 Just round the corner you will find the Municipal House with the concert hall and Prague's popular shopping boulevard - Na Prikope. 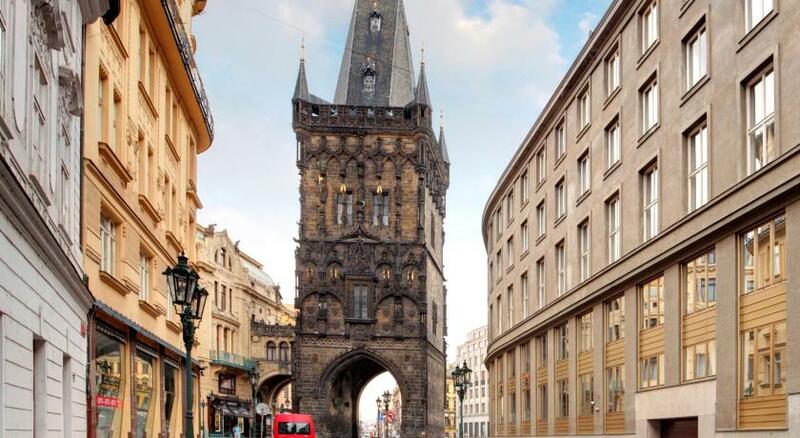 Charles Bridge can be reached within a few minutes' walk. An airport shuttle is available 24 hours a day and can be booked in advance at the Atlantic. 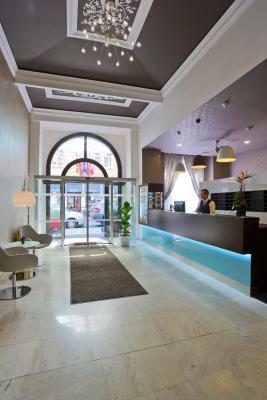 When would you like to stay at Atlantic Hotel? 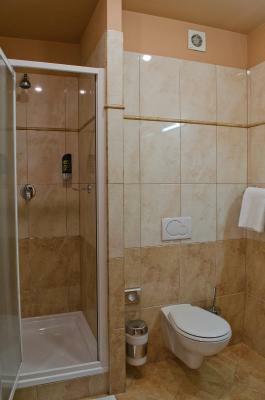 Room with attached bathroom with satellite TV with international channels and a safe. An electric kettle is available upon request. House Rules Atlantic Hotel takes special requests – add in the next step! Atlantic Hotel accepts these cards and reserves the right to temporarily hold an amount prior to arrival. 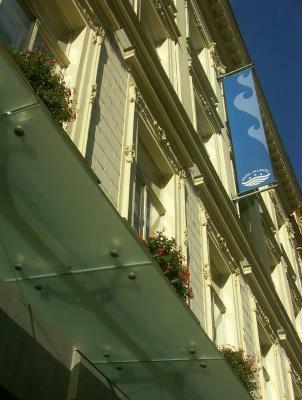 The Atlantic hotel car park has a limited capacity and its availability is subject to reservation. In case that the car park is full, parking is offered in a nearby garage, a 5-minute walk from the Atlantic hotel. Staff was good n cooperative specially reception. 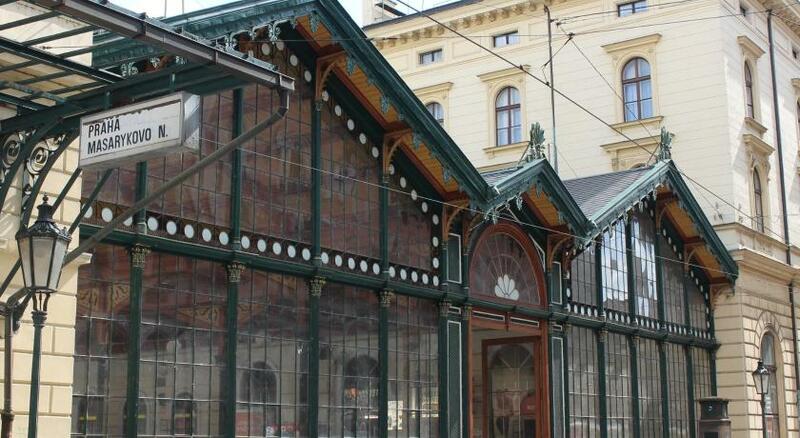 My room was on the tram line side, and was very noisy. The concierge man which was on day 7.03.2019 ,at 7 am ,which put me to payed tax city ,if was payed when i made reservation. Breakfast was enough and varied. 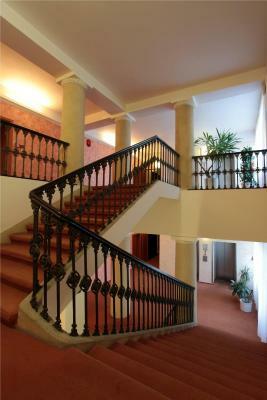 The hotel is near old centre, 10 minutes at station ,for airport,very clean. No mini bar in room. No double bed, two twin beds together although I asked for a double. Very clean and quiet at night. Very good location. Breakfast was basic and the rooms felt cold at first, yet we didn’t feel uncomfortable at all as room did warm up. 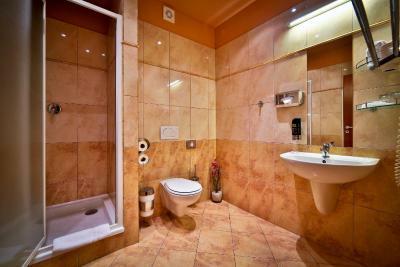 Very clean and brilliant location! Rooms were very big and comfortable, perfect for the 3 nights we stayed. Staff very friendly. Really easy check in and check out process. B'fast restaurant layout - big tables, but not enough of them. Needed to share the table with other guests during the peak time. Room has all what is needed. Comfy bed and nice big window. Wonderful location. Breakfast was great! 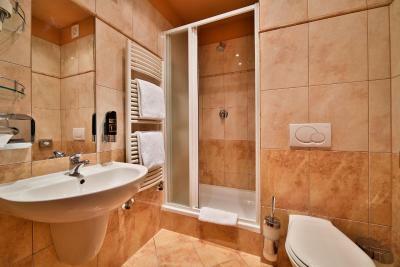 Clean, nice rooms. Nice, friendly and polite staff. Our room looked different from the one we chose at booking. It was very hot, and our window was high up only giving us view to the rooftops. We had to keep the window opened at all times as the heat was unbearable even with the radiator off ( in February). We had 2 heating pipes running through the room which couldn’t be switched off. Traffic noise was quite loud as our room was located at the street front. 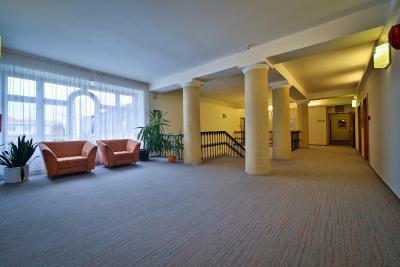 The hotel is at the central of Prague close to public transport, metro line B. We found it very practical but also most of the attractions were walking distance too. Our room was clean, staff was nice and helpful, and we enjoyed the wide variety of breakfast during our stay. Easy to access via bus and metro from the airport. Amazing value for money. Good breakfast with fried eggs available not industrially produced scrambled eggs! Clean and comfortable.